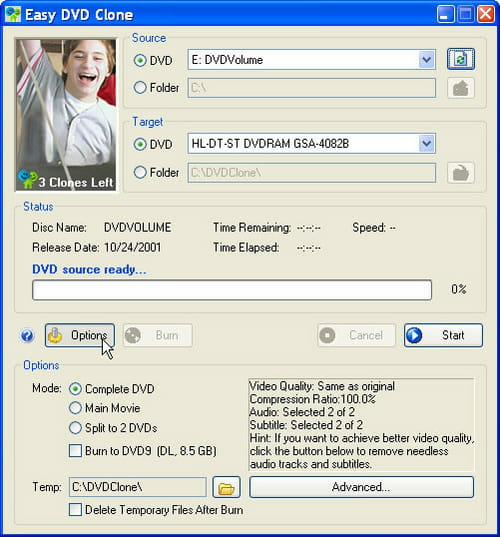 EasyDVDClone is a tool that enables you to quickly backup your DVD to another DVD. The application provides the ease to create excellent video and audio quality copy. This tool enables you to split data into two parts without the loss of quality. Latest update on November 16, 2016 at 07:29 PM.